The Stateline neighborhood is the place to be if you want to be in the heart of the action. Comprised mainly of properties located near the Nevada casinos and the Lake itself, this is a highly sought after rental area for both full time and short term vacation rentals due to its location. 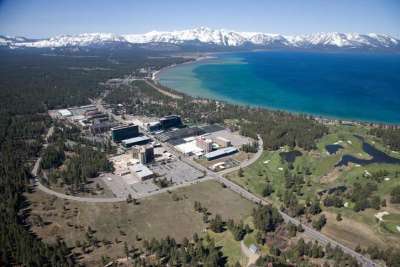 The Stateline neighborhood ranges from old Tahoe lakefront estates to small cabins. Situated within walking distance to the Heavenly Village retail shops and restaurants, the casino’s, Edgewood Golf Course, as well as the Gondola which whisks you to the slopes Heavenly Ski Resort while enjoying a spectacular view along the way. Lakeside Park/Kathryn Hill subdivision is a unique enclave with homeowners enjoying a semi-private gated beach, children’s park, picnic area and restaurant. Lakeside Marina is conveniently located nearby with boat slips available as well. This is the tourist hub of South Lake Tahoe on the state line borders of California and Nevada.